Global Football also announced that high school American football will return to Ireland in 2020 with multiple games taking place in and around Dublin on August 28. 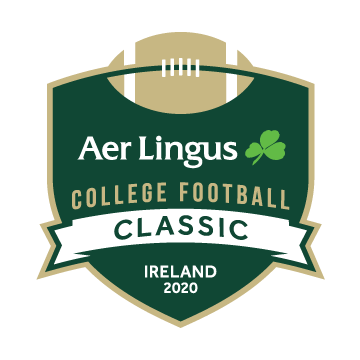 Global Football will celebrate almost a quarter of a century as the world’s leading exporter of the sport outside of the United States, by again organizing the showcase spectacular as a partner event of the 2020 Aer Lingus College Football Classic. The University of Notre Dame and Navy will play at Aviva Stadium on August 29, the day following the high school games extravaganza, with all the prep school players enjoying the big NCAA contest. Anthony Travel, the longtime travel partner of Global Football, and Irish American Events Limited are again serving as the overall event producers. The three groups will team up again to plan and execute all travel logistics for each team and fan groups. A total of 12 schools will venture across the Atlantic Ocean to experience the Irish culture and to compete in a series of games, with multiple venues in Greater Dublin hosting single, double or triple-headers of Friday Night American football games. Global Football has established a web page dedicated to the 2020 event, which includes tour options for travelers, pricing, and how high school coaches can request an invitation and commit to joining the celebration in Dublin at www.GlobalFootball.com/Ireland-2020.